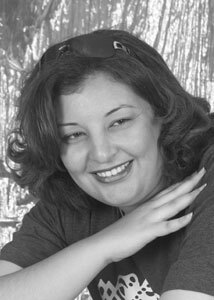 Nahla Mattar is composer, educator, and researcher currently serves as an assistant professor at Helwan University, Cairo, Egypt. Mattar got her doctorate of musical arts DMA, in composition from Arizona State University (ASU) in spring 2005. Mattar’s goal is to write powerfully expressive music that blends music with visual and theatrical rituals, exploring issues of cultural pluralism and interconnectivity. Mattar has a great interest in the electro-acoustic/digital interactive medium. She studied technology and interdisciplinary multi-media courses at ASU’s School of Music and Art , Media, and Engineering Program. Mattar’s graduation work: “Scars” was premiered in Phoenix, Az. in April 2005, a major collaboration with videographer Joan Karlen of Univeristy of Wisconsin at Steve points, and visual artist Arina Melkozernova with the director Ilana lydia. “Scars” is written for Music, Narration, Video, 3d-animation, and electronic sound environment and it is a fantasy- story telling representing Arab-Egyptian women born in the 70s and their journey of finding their true identity through cross cultural experiences far from stereotyping: local and foreign. Nahla Mattar has participated in RAMI plate-form by a lecture about musique, composition, art and new technologies in the frame of RAMI program in the Alexandrina Library in June 07, followed by a performance on the stage of Arts Center. In 2009, she came in Marseille and Aix-en-Provence to give a lecture about relations between art and sciences, in a seminary organised by ZINC and IMERA. Compositional, Technological, and Socio-Cultural Correlation in Scars flap text of the book. 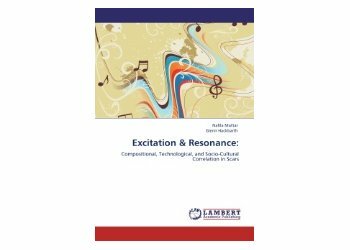 In this study you will dive into the personal work of Egyptian woman composer Nahla Mattar, where a suggested path to connect the political with the musical worlds of SCARS through a social and musical adaptation of the scientific phenomena: Excitation and Resonance. The phrase “excitation & resonance” has at least three meanings in this study.The first is the scientific meaning used to describe the sonic phenomena.The second is the social metaphor that relates to the scientific meaning.The final is a suggested musical analysis of the local structural elements and the integration of different media based on these two meanings in the interactive multimedia performance: Scars.